KATHY JOHNSTON enjoys athletics and hopes to still be on the tennis court when she's 80! She and her husband, Charlie, currently are on staff with The Navigators in Omaha, Nebraska. Kathy devotes most of her time to leading small-group Bible studies and mentoring women. A speaker at weekend retreats and special events for women, she has coauthored Facing Choices and has written articles for Discipleship Journal and other periodicals. 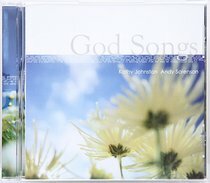 Customer Reviews For "God Songs"
Great to hear some fresh alternative praise and worship music made here is Australia. I loved the rythms and spacey pads and wonderful use of real instrument sounds.